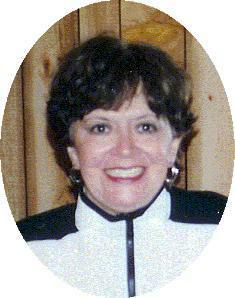 Lenore A. Zankl, 72, of County Trunk KK in the Town of Port Washington, died March 20, 2003 in Sheboygan, Wisconsin. She was born December 2, 1930 to Lawrence and Lucile Plumtree Peltier in Des Plaines, Illinois. On December 21, 1985 she married Joseph G. Zankl of Port Washington, Wisconsin in Port Washington. She worked as a dental receptionist and also as a clerk for the former Treasure Island in Brown Dear. More recently she was an Optical Lab Technician for Paragon Optical in Milwaukee. She is survived by her husband Joseph and children John (Diane) Pearson of Milwaukee, Bob (Dinah) Pearson of Appleton, Julie (Eric) Bedell of Gilford, Ct and 4 step children. She is further survived by 8 grandchildren, 7 step grandchildren, brother Steve (Verona) Peltier of Tulsa, OK, Patti (Larry) Prokoff of El Paso, TX other relatives and friends. Memorial Mass Noon Saturday, May 17, 2003 at St. Mary’s Church, 430 N Johnson Street, Port Washington. Fr. Allan Sommer Celebrant. Interment St. Mary’s Cemetery, Port Washington. Visitation after 11 AM Saturday AT CHURCH. Memorials to the Alzheimers Association Of Milwaukee appreciated.